Those who are considering working in the insurance sector have a huge industry marketplace and a diverse amount of jobs to choose from. This is a fairly stable employment industry and graduates who have a financial career in mind should seriously consider the insurance sector. Insurance careers can be challenging and very rewarding to talented and hard working individuals. Careers within the insurance sector are varied and can include underwriters, actuaries, brokers, loss adjusters and regulatory and compliance jobs. Salaries for graduates within the insurance sector are some of the highest in Britain and it is a stable job market. The insurance sector also has a number of related professions such as accountants, management personnel and marketing employees. This is a very large career marketplace and career progression within the insurance sector can be rapid especially in areas such as banking and investments. Graduates can expect very good rates of pay and good benefits and bonuses within the insurance sector. Depending on the job type average starting salaries for graduates are around £25,000 in the first year. Junior underwriters working in London can expect salaries of around £40,000. Benefits will depend on the industry but those who choose the banking environment can expect company bonuses, sign up bonuses, a range of discounted financial products and performance related bonuses. There is wide range of qualifications available to those considering insurance careers. Entry level jobs are also available with in house training for those with minimal qualifications. One of the highest insurance qualifications is the Fellowship of the Chartered Insurance Institute (CII). Graduates with financial and business degrees can apply for a wide range of insurance jobs and then utilise further training programmes to develop their careers. A good understanding of business affairs and a thorough knowledge of the Financial Services compliance is also a usual requirement. Insurance recruiters are a very useful way to start off your insurance career search. There are specialist branches of recruitment agencies such as Hays Recruitment that will have a wide range of insurance jobs and contacts throughout the insurance world. They will be able to find the best insurance jobs to meet your skills, work experience and requirements. Insurance recruiters can be used by both graduates and those considering a career change, or simply people looking to get a foot in the door in the insurance business. Good communication skills are a necessary requirement for those working in the insurance sector. You will usually be working closely with clients and colleagues and must be able to communicate effectively both orally and in writing. Being financially minded, having a good eye for detail and having good analytical skills are usual requirements for employment in this sector. The ability to work very long hours is vital, especially where graduates and trainees are concerned. Those working in their first year of employment for large firms can be expected to work around 12 hours per day. 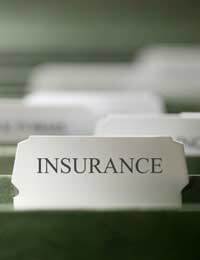 The insurance sector will not be for everyone and it is important to undertake some research to find out exactly what each insurance job entails. Talking to those who already have jobs within this sector will be beneficial and advice from careers advisors should be taken. A long term career in the insurance sector can be a lot of hard work but it can bring great financial rewards and good career prospects.